An iconic Italian car just got a little bit cooler. 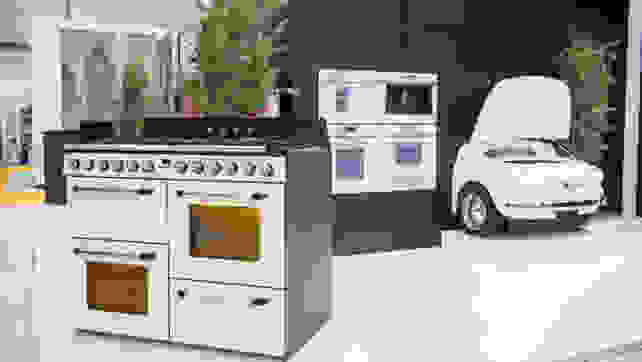 The new Smeg 500 looks just like the front of a classic Fiat 500, but there’s no engine under its hood. Instead, you’ll find room for sliced Genoa salami, Taleggio cheese, and prosecco. 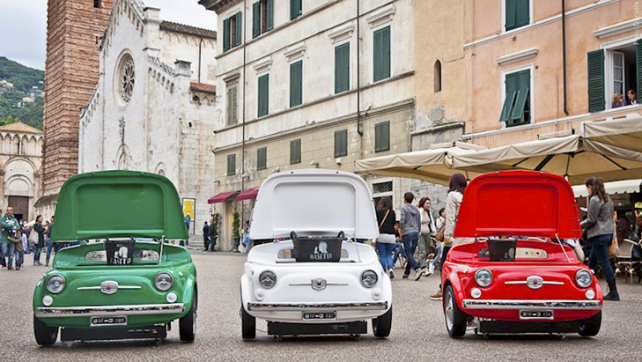 The Smeg 500 is the same size as the original Fiat 500 and is made from genuine Fiat parts. It debuted in Europe in 2013, but Italian appliance manufacturer Smeg just announced that it’s coming to the U.S. later this summer. These retro fridges couldn't possibly be more Italian. The refrigerator is part of Smeg’s ever-growing line of high-end, retro appliances. In addition to the Smeg 500, it now includes chrome-plated toasters and blenders, hand-painted fridges produced in partnership with Dolce and Gabbana, and new sizes and colors for the original Smeg refrigerator. There's room for wine and cheese under the hood of the Smeg 500. We don’t know how much the Smeg 500 will cost in the U.S., but in Europe it sells for the equivalent of $8,500. That’s about ten times what a 1950s Fiat 500 originally cost, and about $7,000 less than a 2017 Fiat 500. The new fridge has a capacity of about 3.5 cu. ft. By comparison, the original Fiat 500 held about 75 cu. ft. of passengers and cargo. In a nod to its heritage, the Smeg 500 comes in just three colors—white, red, and green. The Smeg 500 alongside other Smeg appliances—both retro and modern. Nostalgia aside, the mashup does have some historical precedent: In the postwar era, the affordable Fiat 500 gave Italians the freedom to travel. At the same time, Smeg partnered with Fiat to build refrigerators for Italy’s growing middle class. Today’s Smeg 500 might not be meant for the masses, but it would look awesome in a high-end garage, a funky retro kitchen, or an authentic gelateria.